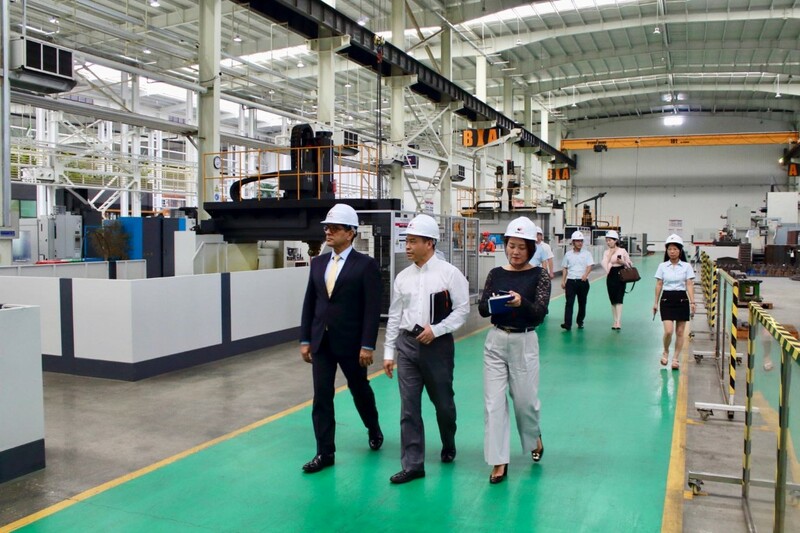 ABU DHABI, 11th September, 2018 (WAM) -- Following China President Xi Jinping’s historic visit to the UAE in July, senior representatives at Abu Dhabi Ports and Khalifa Industrial Zone Abu Dhabi (KIZAD), recently visited Nanjing, Jiangsu Province, to bolster growing trade relations. During the China-UAE Industrial Capacity Cooperation Demonstration Zone Investment Promotion Conference, industry leaders, government officials and private sector decision makers gathered to discuss and learn more about the attractive investment opportunities within Abu Dhabi Ports and its subsidiaries, including KIZAD, Khalifa Port Free Trade Zone and Khalifa Port. Hosted by Jiangsu Provincial State-owned Assets Supervision and Administration Commission and organised by Jiangsu Overseas Cooperation Investment Co. Ltd. (JOCIC), more than 180 delegates from government entities and 90 companies attended the event to potentially follow in the footsteps of Chinese companies that have recently made sizeable investments in the emirate of Abu Dhabi. Key speakers during the event included: Li Xiubin, deputy director of the Jiangsu Provincial State-owned Assets Supervision and Administration Commission; Wang Bin, chairman of Zhongjiang International Group; Captain Mohamed Juma Al Shamisi, Abu Dhabi Ports CEO; and Hao Sihuan, deputy general manager of Jiangsu Haitou Investment Co., Ltd. Bilateral trade between China and the UAE has enjoyed an upward trajectory in recent years, with the two countries signing 13 agreements and memoranda of understanding (MoU) during President Xi Jinping’s visit. Abu Dhabi Ports has played an important role in strengthening these ties. 2017 saw JOCIC signing agreements with Abu Dhabi Ports to invest over $1bn in Khalifa Port Free Trade Zone under the China-UAE Industrial Capacity Cooperation Jiangsu Construction Management Company Limited. JOCIC is currently developing the 2.2sqkm industrial development zone in Khalifa Port Free Trade Zone with 19 Chinese companies already signed up to date. In addition, Abu Dhabi Ports & China’s COSCO SHIPPING Ports has signed an agreement last year to develop one of the most modern container terminals in Khalifa Port. In addition, Abu Dhabi Ports & China’s COSCO SHIPPING Ports has signed an agreement last year to develop one of the most modern container terminals in the world. Abu Dhabi Ports CEO, Captain Mohamed Juma Al Shamisi, said during the conference: "Our value proposition, connectivity and state-of-the-art infrastructure, as well as our strategic Chinese partnerships, have played a big role in cementing our position in the global market and enhancing our competitive advantage. Thanks to the direction and guidance of the UAE leadership, we were able to establish a reputation as an attractive investment and trade hub for companies around the world looking to expand in the region." During his address to prospective investors, KIZAD CEO, Samir Chaturvedi, said: "Through its progressive policies and strategic investments in infrastructure, Abu Dhabi has created an investor-friendly environment, which has found great interest among Chinese business. At KIZAD, we have already seen major investments in oil and gas, both upstream and downstream, in ports and shipping, in industrial development and various other industry sectors." "Khalifa Port and KIZAD are among the key integrated infrastructure platforms developed by the Abu Dhabi government to boost investment in the UAE. 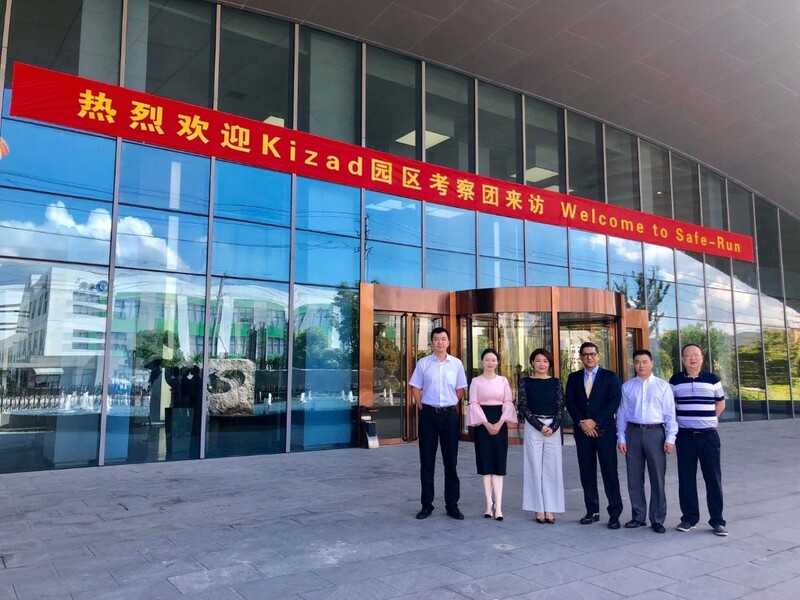 KIZAD is the Middle East’s largest industrial zone spread across 400 square kilometres and has attracted over 17.5 billion US dollars in foreign direct investment to date," Chaturvedi stated.